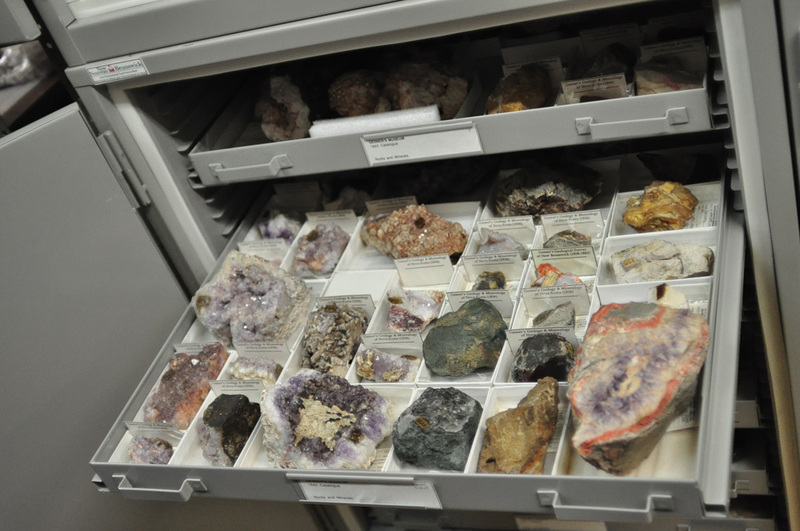 The geological collections of the New Brunswick Museum are the result of more than a century and a half of collection and study. From our beginning in 1842, as Gesner’s Museum of Natural History, the collection has grown to 50,000 geological specimens. Gesner's Museum was the first of its kind in British North America. Over the years Gesner's Museum collection moved to the local Mechanics' Institute, then to the Natural History Society of New Brunswick. The Natural History Society of New Brunswick developed from a local interest in natural science, in particular from a few enthusiastic students of the relatively new science of geology. George Frederic Matthew and Charles Frederic Hartt were two of those young geologists who had already formed the Steinhammer Club, an organization devoted to the study of the local rock formations. Members of the Steinhammer Club worked closely with Sir J.W. Dawson. In 1929 the collections of the Natural History Society of New Brunswick were turned over to the province to establish the New Brunswick Museum. Today the collections are housed in four separate collections in the NBM Collection and Research Facility on Douglas Avenue in Saint John. Over 1,000 type specimens are found in the palaeontology collection, including vertebrate, invertebrate, plant and trace fossils. Select the database you want to search. Use the Droplist to insert search items and select ‘SUBMIT QUERY’. Some databases require a password. Records presented in table format can be expanded by clicking on the Catalogue Number.